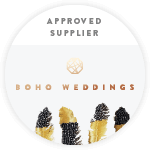 The Canvas Tent Co. Blog — The Canvas Tent Co.
7 Exciting Outdoor Wedding Food Ideas! Planning your open-air celebration is exciting and the possibilities really are endless! It’s a fantastic opportunity to be creative and offers freedom, space and flexibility. We’re all about thinking outside the box – revamping old traditions and creating new ones. So rip up those seating plans for that overdone set wedding breakfast menu and be inspired by our list of fantastic wedding food ideas! In our recent post ‘5 Reasons Why You Should Get Hitched Outside’ we touched a little on why setting up a glampsite at your wedding is an awesome idea – a fun and informal alternative to conventional accommodation. We reckon bell tents really complete the outdoor wedding package and look great set-up alongside one of our original sailcloth marquees! 5 Reasons Why You Should Get Hitched Outside! Amidst the cold and bleak British winter, it’s difficult to even consider beginning to plan for an outdoor wedding – but here’s 5 reasons why you should definitely start planning right this very second! We’re thrilled to have had such an incredible response for the launch of our marquee open event and we can’t wait to keep you updated with our plans for the day! We’ll be posting about the amazing suppliers joining us at Claremont Farm over the forthcoming weeks. Today, we’re introducing illustrator Lowri Jones. Did someone say OPEN DAY?! So, we’ve kicked off 2019 with the very exciting news of our open event A SPRING POP-UP WEDDING FAYRE at Claremont Farm over on The Wirral. We’re a little bit late with this blog post – almost a month overdue! Please excuse us, it’s been a very busy period here at The Canvas Tent Co. HQ. Our 2019 calendar is filling up and we’ve had a great time meeting our future clients at site visits around the North West, Wales and The Midlands. For those of you who are interested in viewing our outstanding tents, we are very excited to announce that we will be present at the Wills Marquees Open Day on the 29th April 2018.